A Turkish prosecutor on Monday demanded aggravated life sentences for prominent journalists Ahmet Altan, Mehmet Altan and Nazlı Ilıcak for allegedly supporting a failed coup attempt on July 15, 2016, which the government accuses the faith-based Gülen movement of having perpetrated, T24 reported. Along with the Altan brothers and Ilıcak, Ekrem Dumanlı, Bülent Keneş, Emre Uslu, Tuncay Opçin, Abdülkerim Balcı, Şemseddin Efe, Osman Özsoy, Faruk Kardıç, Fevzi Yazıcı, Mehmet Kamış, Şükrü Tuğrul Özşengül, Yakup Şimşek, Ali Çolak and Tibet Murat Sanlıman are all standing trial. The court in September ruled to separate the files of former Zaman daily Editor-in-Chief Dumanlı, Today’s Zaman Editor-in-Chief Keneş and journalists Tuncay Opçin and Emre Uslu from the case. 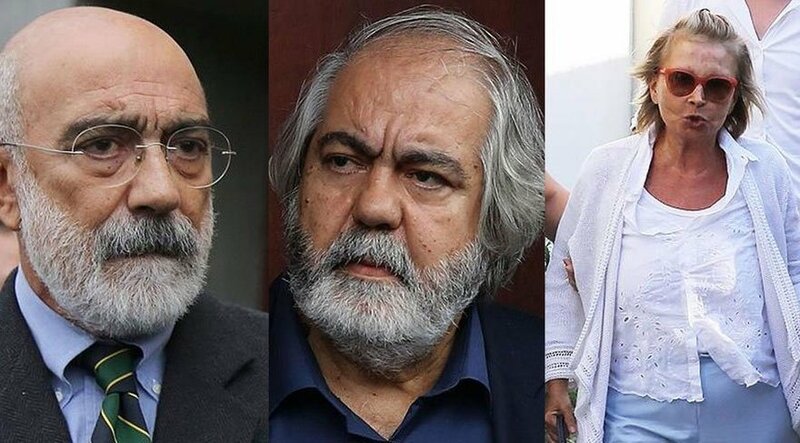 Ahmet Altan and Mehmet Altan, writer and journalist brothers, and Ilıcak are among 17 defendants accused of membership in the alleged “media arm” of the Gülen movement. Both Mehmet Altan and Ahmet Altan, who were detained on Sept. 10, 2016, were accused of sending “subliminal” messages regarding the failed coup attempt on a TV show a day before the putsch. The Altan brothers are prominent journalists who have been unequivocally critical of the regime of President Recep Tayyip Erdoğan. Ahmet Altan is a novelist and former editor-in-chief of the now-closed-down Taraf newspaper. The daily ran headlines that led to the Ergenekon and Balyoz coup plot investigations, which helped the Justice and Development Party (AKP) government subdue the role of the military in Turkish politics. After quitting Taraf, Altan resumed writing harsh critical columns against the increasingly authoritarian AKP government and President Erdoğan. Mehmet Altan, an economics professor at İstanbul University, is also a columnist known for his liberal views and criticism of the government amid increasing and unprecedented pressure on the media and dissidents. This article originally appeared in Turkish Minute on Dec 11.